One of the things I feel I need to work on is helping to bring attention to Professional Women's Cycling and just how exciting the sport is to watch. The problem, finding access to video coverage. I was delighted this evening to find coverage of the Ronde van Drenthe on YouTube this evening. So here is my second foray into cyclisme feminine, the first being the inaugural running of La Course on the final day of the 2014 Tour de France. The first piece of video showed a very large crash with riders going off into the muddy ditches on each side of the narrow roadway. 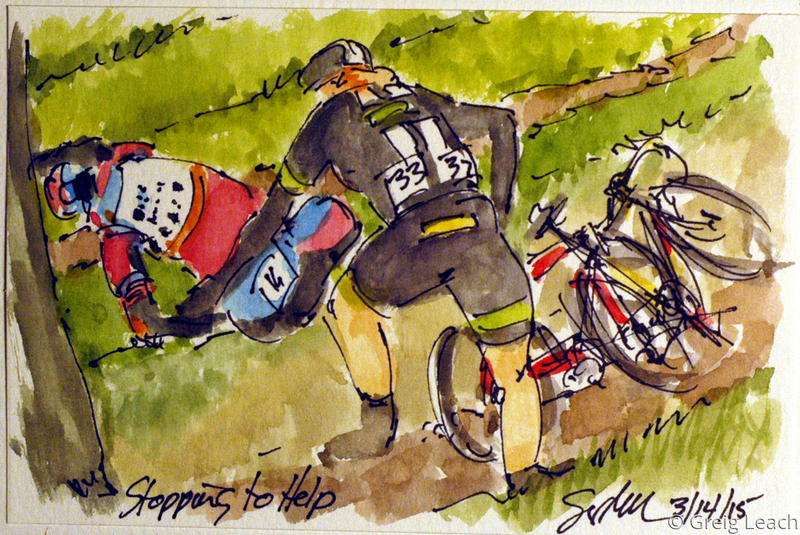 Something I have never seen the men do was Claudia Lictenberg (Liv Plantir), who had not crashed, going down into the ditch to help Megan Guarnier (Boels Dolman) out of the mud and into a slightly more comfortable position. Lictenberg then got back up to the road and road off to rejoin the peloton. Guarnier's day was done as the medics took over her care.